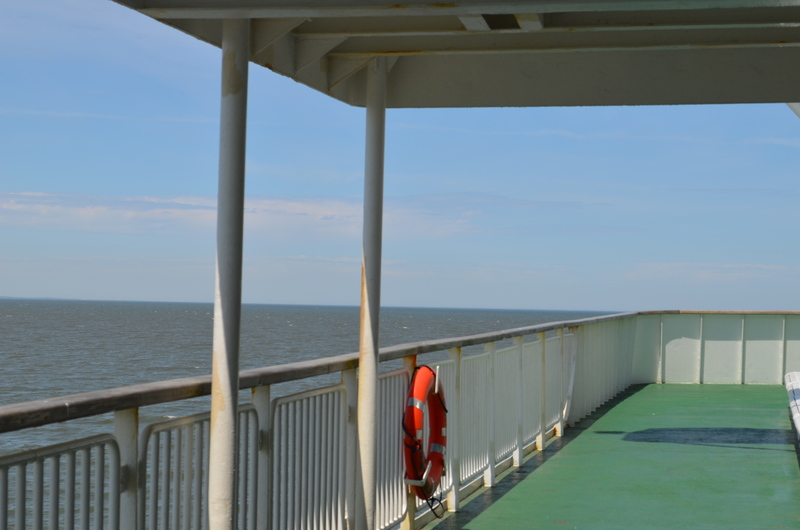 After exploring Delaware, we boarded the Cape May Lewes Ferry. This relaxing one hour trip took us from Delaware to the tip of New Jersey, a bit south of Atlantic City. During the ferry ride you are free to walk the decks of she ship, buy some coffee, read a book, or sit and enjoy the scenery. I was greatly amused at the flock of seagulls that followed us the entire trip, hoping for a snack. As soon as we landed in New Jersey, we drove up to our friend Lisa’s house in Manahawkin, NJ. Driving through the Pine Barrens was interesting – I’m not sure how I pictured that area, but it was definitely different then I had anticipated. After a warm reception and some pizza and beer, we passed out for the night. The next morning was a trip to Atlantic City for the Backer Pet Trade Show. 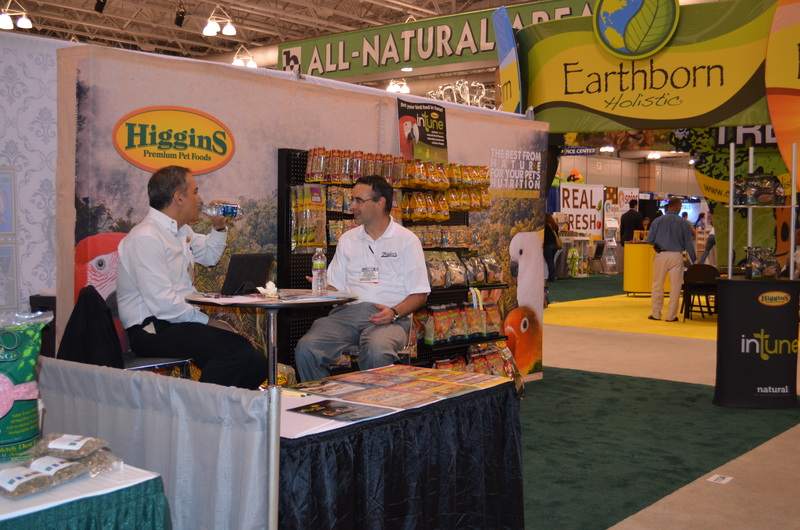 This expo was for everyone in the animal industry to showcase their latest and greatest products. The vendors included the people from Higgins Premium Pet Food, Bowtie Inc (parent company of Bird Talk Magazine), A&E Cage Company, Wyld’s Wingdom, Hagen, and more. We spent the entire day walking until you could walk no more and getting freebies from the vendors – including free products, food, and massages. We spent one and a half days at the expo, and half a day goofing off at the Atlantic City boardwalk. Then it was time to say goodbye to my original roadtrip buddy, who flew back home from the Philadelphia airport. Now it was time for Lisa and I to make our way to Rhode Island for the International Association of Animal Behaviorists Convention in Warwick, Rhode Island. As we rode up through the state of New Jersey, we stopped at the Kings Cages warehouse to place an order for Lisa’s store, The Platinum Parrot. We also picked up another conference attendee, and someone who just happened to be a longtime member of my caique forum. Small world, isn’t it? We slowly wound our way up through New Jersey, crossed over into New York (I got my first glimpse of New York City! ), and up through Connecticut. Finally we landed in Warwick, Rhode Island and checked into our hotel. Lisa and I met up with our suite-mate for the duration of the convention – Dr. Irene Pepperberg. Irene was speaking at the conference, and was also had a vendor booth for the event. The IAABC has separate divisions of trainers: dog, cat, horse, and parrot. The entire conference caters to all of the divisions, and brings in parrot specific speakers. This year our speakers included Dr. Susan Friedmen, and Irene Pepperberg. Not only were there speakers, but at the end of the conference there were some hands on activities, including crab racing, clicker training with bunnies, a tortoise, and an armadillo. 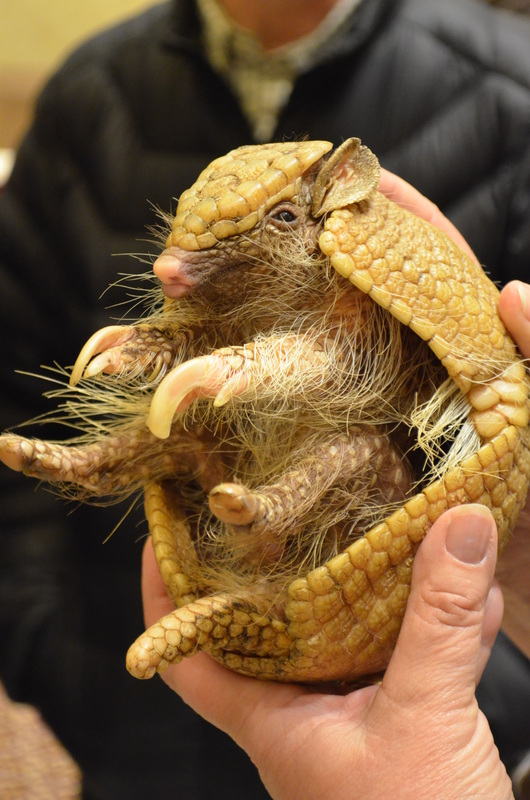 Yes, an armadillo. He was the cutest, most awkward, and alien looking creature I have ever encountered. Seriously though – super cute, in an alien sort of way. There is a lot more to this story, but that will appear in my third installment. For now, I’ll leave you with images of alien armadillos, cute bunnies, Irene Pepperberg, and pigs on leashes. Oh wait: did I not mention the pigs on leashes? That totally happened.